Jennifer Lopez and Marc Anthony have lent their support to Paul Simon�s Children�s Health Fund in New York City. Marc performed in front of a packed house at the 20th anniversary gala, which also featured an appearance from President Bill Clinton. Paul Simon wrote the foreword in a book �The Wall of Fame� about Manny�s Music place, written by Henry Goldrich and his daughter Holly Goldrich. Article about the writer Henry Goldrich. Grammy Award-winning singer and songwriter Paul Simon will join presidential candidate Chris Dodd and his family for part of Dodd�s �River to River� bus tour of Iowa during the week of the Fourth of July. Simon will campaign with Dodd on July 6th and 7th, appearing with him on those days� tour stops and adding informal performances to Dodd�s events. �I am thrilled that Paul will be joining Jackie, our daughters, and me in Iowa,� said Senator Dodd. �Paul is a long-time friend and one of the most important voices in American music, and he has been tireless in his service to the greater good of people throughout our country and the world. Simon will join the Dodd family at stops in Mason City, Fort Dodge, Sioux City, Carroll, and Council Bluffs. 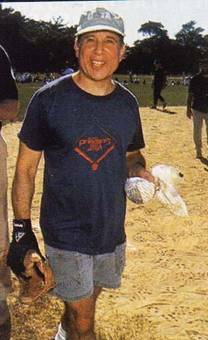 Paul Simon will be appearing on This Week In Baseball, which airs this weekend. TWIB comes to you at 3:00 p.m. in New York (times vary nationwide, please check your local listings). This Week in Baseball airs on FOX either immediately preceding or following the FOX Game of the Week Saturday afternoon. Again, check your local listing for exact times in your area.